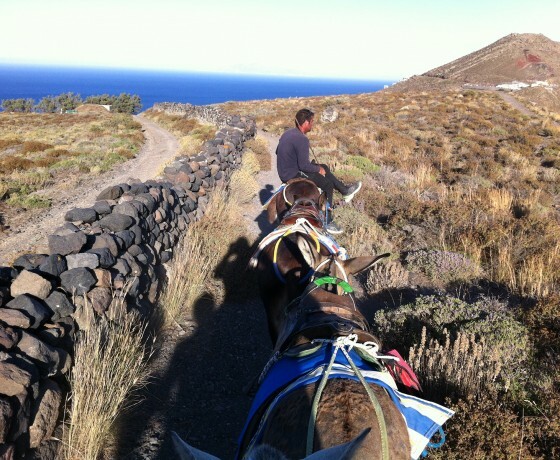 Treat yourself to a Unique Traditional Ride with our donkeys. 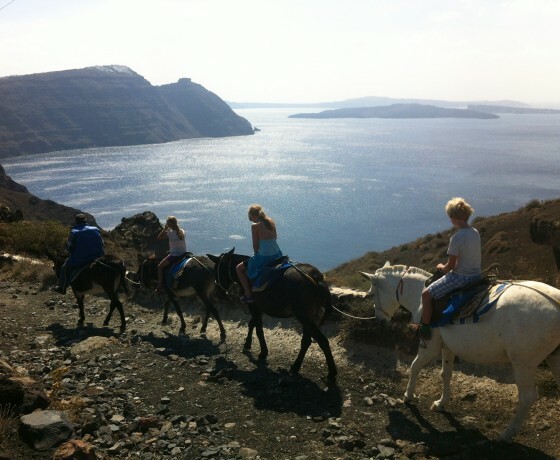 Discover a Part of Caldera and a different uncultivated path of Santorini. 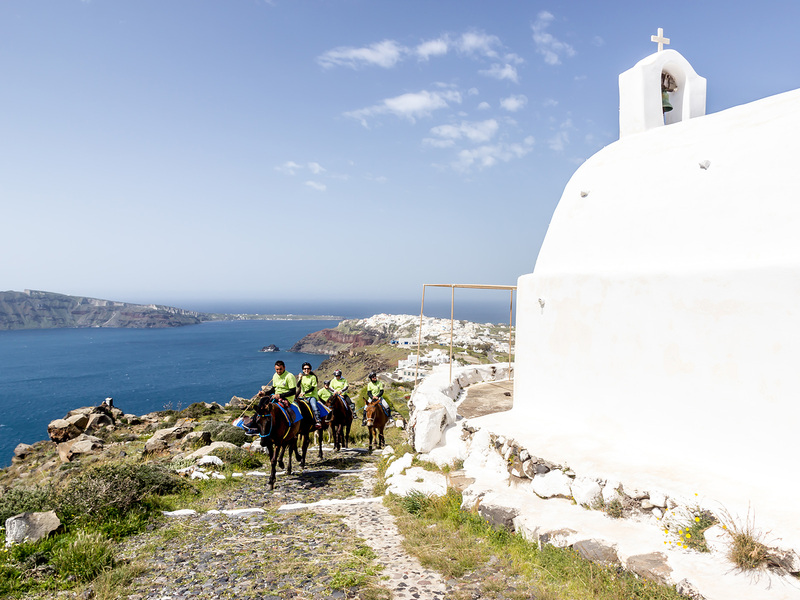 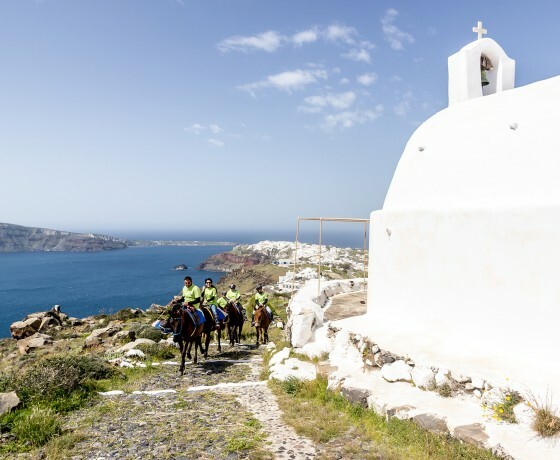 Enjoy your Traditional Donkey Ride from the Donkey Station at the “Kantina” meeting point (located in the middle of the main road between Imerovigli & Oia Village) together with our specializes mule drivers. 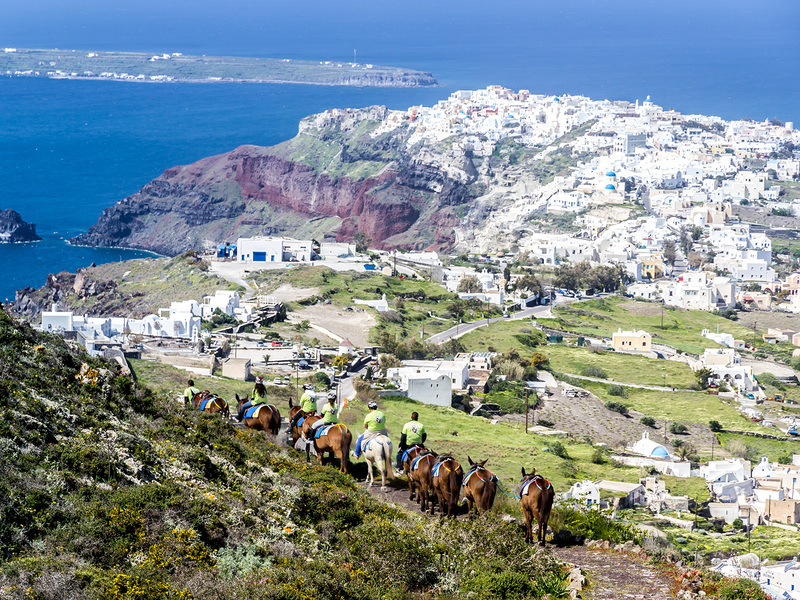 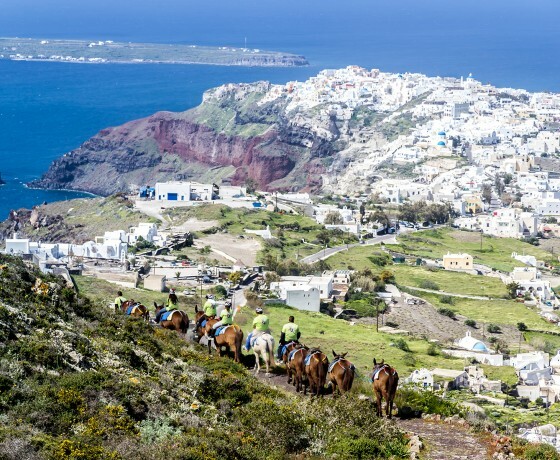 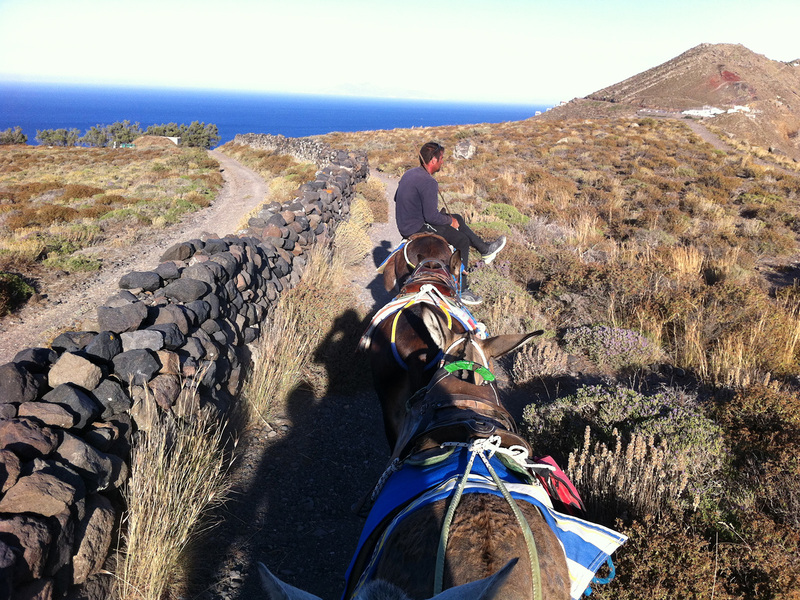 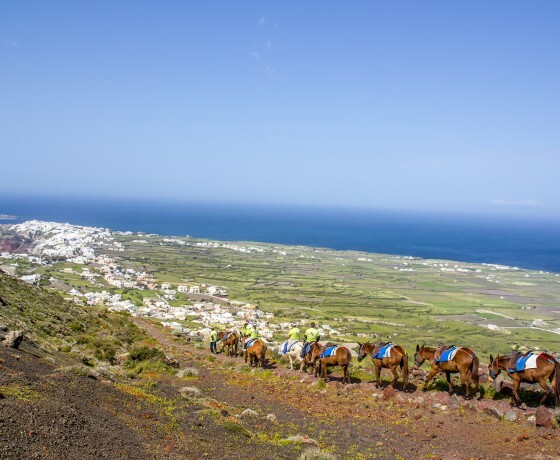 Take our donkeys through the traditional volcanic path to Oia Village, exploring the black and red volcanic hills overlooking the caldera. 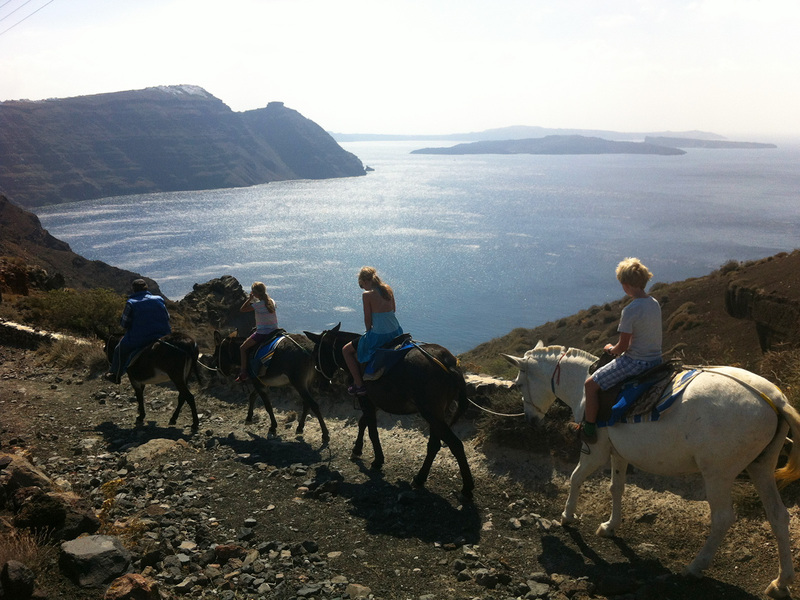 Have 15 minutes water and photo break at the traditional church “Stavros”, with the most amazing view of the Caldera. Treat yourself to a different traditional ride with our donkeys. and we are friends of donkeys! 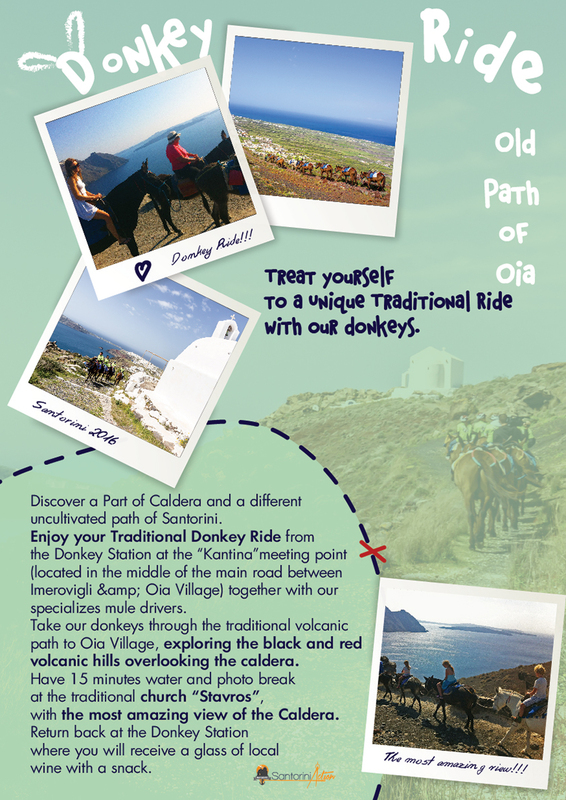 10.30 & 18.00 * You are kindly advised to book your ride at least one day before. 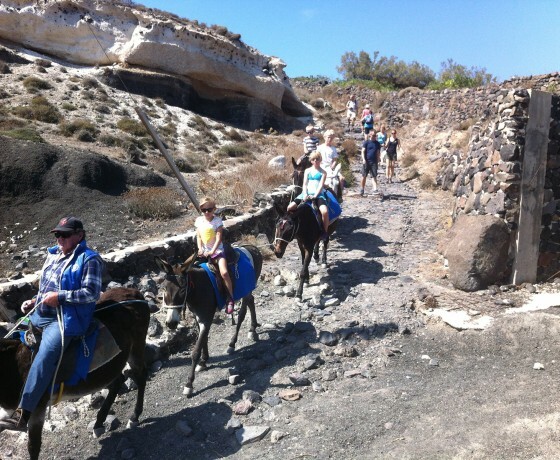 Booking info: After your reservation online or by the phone, we will send you a confirmation email including a voucher with your payment information, complete operator information, pick up point information (time & place), departure time, and local operation telephone numbers (Customer Service) at your destination. 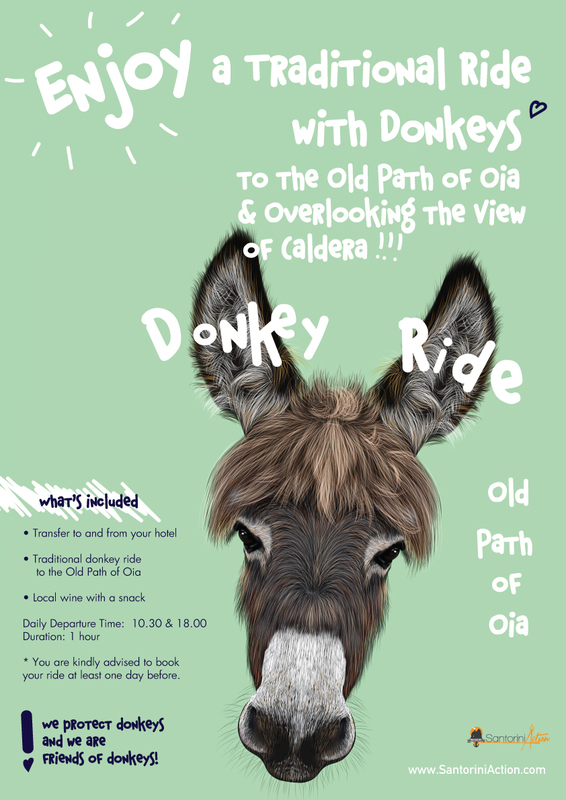 Voucher info: After your booking is confirmed, you will be advised of your Pickup Point and Time for the Transfer to Donkey Station. 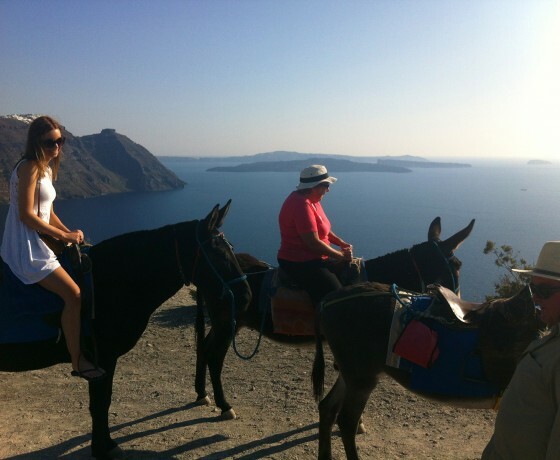 The Pickup Point depends on the location of your Hotel and could be a meeting point near to your Hotel.